IN 1952, James Vistarini won the Hutchison medal, awarded to the best player in the old B-Grade competition. Sixty-six years later, his grandson (also James) claimed the same award in Essendon Ford Division 1. 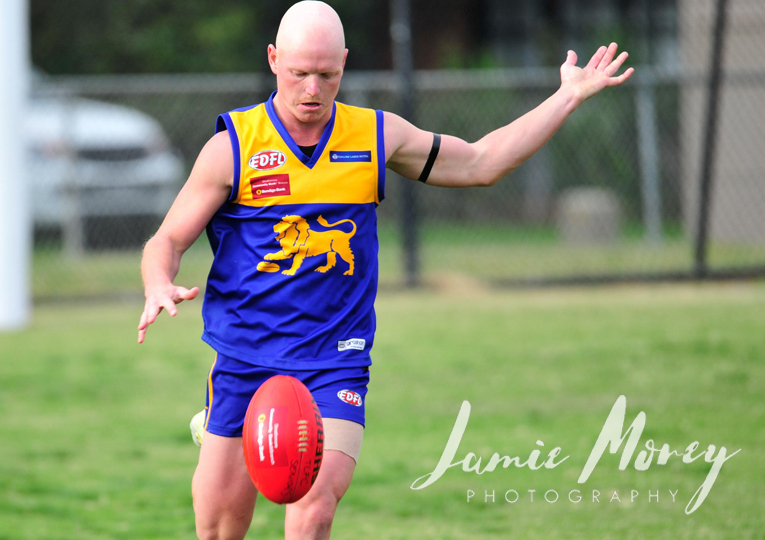 The Taylors Lakes midfielder told essendondfl.com.au he was honoured to have followed in his grandfather’s footsteps. “It was a nice privilege to win it,” Vistarini said. “Obviously, rocking up to the night, I didn’t expect it. His grandfather inspired him to pick up a football in the first place, as Australian Rules dominated the family ranks. “My old man played footy, my grandfather played footy, so I just sort of loved it,” he said. “Growing up as a kid, I was always an outside person, never inside playing PlayStation, I was always outside playing footy or cricket. “I’ve been involved in sports since I was a young kid. 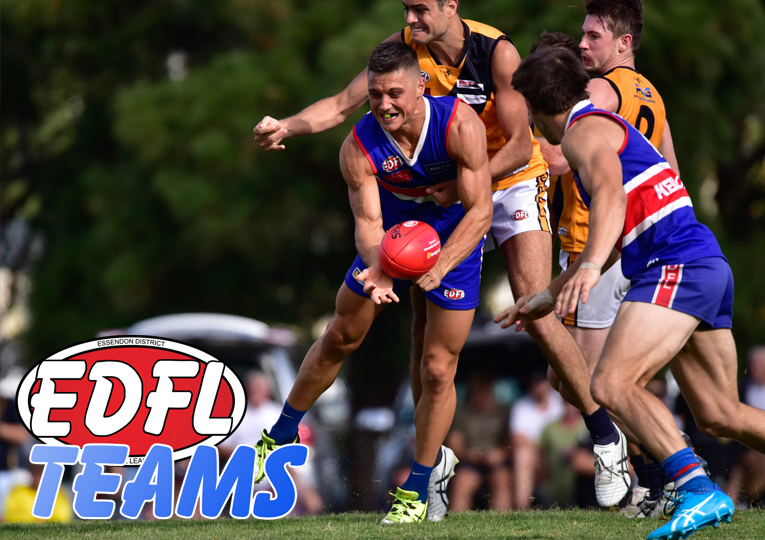 Vistarini is no stranger to finishing high up in the Division 1 Best & Fairest votes. After having three consecutive top five finishes, the gun Lion finally took out top honours this year. But Vistarini admits he thought his chances to win the Hutchison were better in previous years. “I probably thought I had a better chance in previous years, to be honest,” he said. “I carried a little bit of injury this year, so I spent a bit more time forward than what I would’ve liked, which held me back a little bit in trying to hit my best. 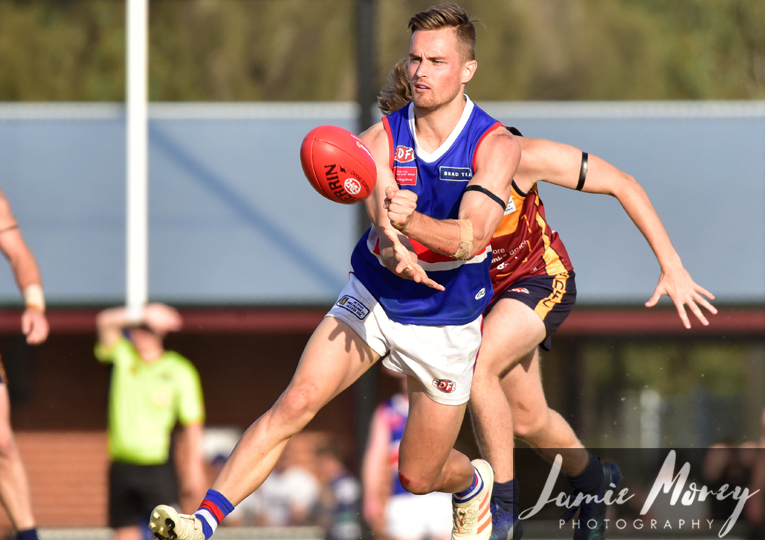 Taylors Lakes had some promising wins this season, but failed to make finals, finishing fifth. Although Vistarini is disappointed about missing the finals, he is optimistic about the club’s future. “It always hurts not playing finals and play when it matters,” he said. “We did have the good team balance this year. “I think Sam (Tankard) did a lot in developing the young blokes along with a few other people throughout the club. 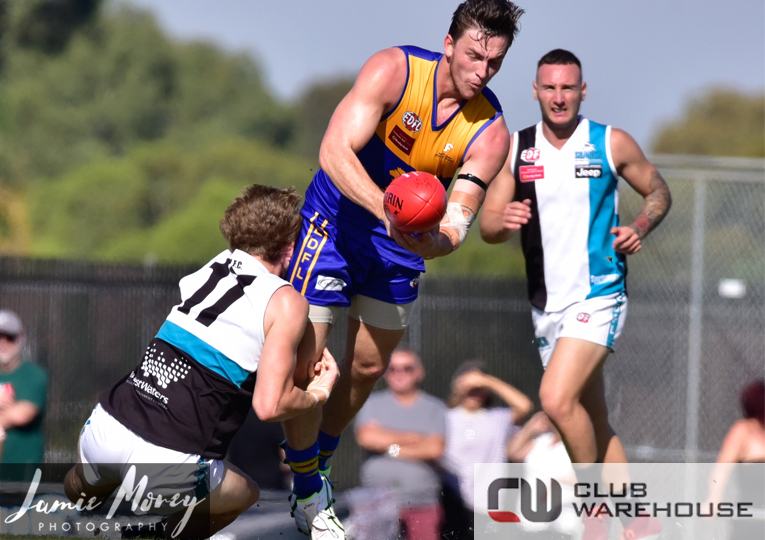 The midfielder has spent most of his career at Taylors Lakes, and says the mateship is what keeps him coming back. “I love playing with the boys,” Vistarini said. “A lot of close mates there, good bunch of lads, we just have a good time and hopefully we can win a premiership in the next couple of years. “Obviously I had a stint away at another joint and if it can keep moving in the right direction then I’ll be playing there because I just enjoy it. Growing up, Vistarini admits he didn’t have many goals in football. But he had the intent to work hard, which helped him get to where he is today. “I didn’t have genuine talent growing up,” Vistarini said. “A lot of hard work sort of got me to where I am now and that’s what sort of keeps me going. “I just worked hard so I never sort of grew up and had a reputation. “So yeah, I didn’t have many goals. I just do what I can.